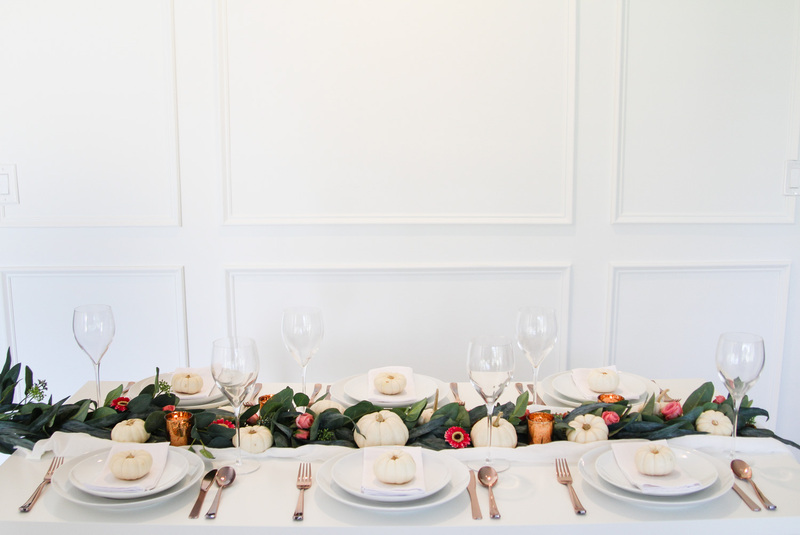 I'm excited to share this Thanksgiving tablescape and hope you guys like it! Last year, I styled a Friendsgiving tablescape but this year, I wanted to do something a little more traditional. 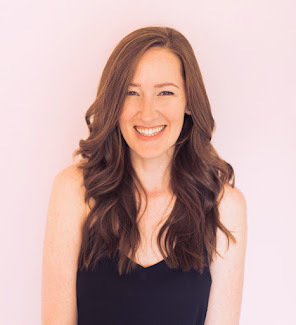 Today I'm sharing this idea plus a general tablescape ideas for Thanksgiving so you can create your own look. Big floral centerpieces are so beautiful but for this Thanksgiving tablescape, I did something lower. With a lower centerpiece everyone can easily see and talk to each other. Lower centerpieces also make it easier to pass food around. I thought a seasonal table runner garland would be the perfect thing. 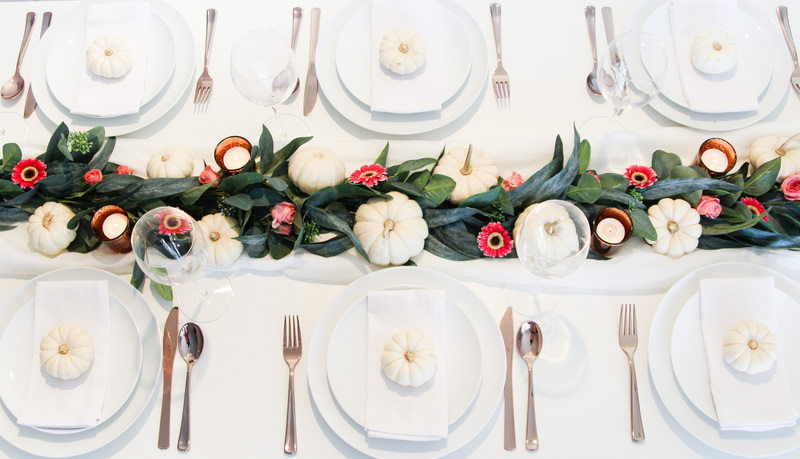 This simple tablescape idea for Thanksgiving is as practical as it is beautiful. Believe it or not, the garland I used is faux. I'm usually very skeptical of faux greenery but this one is a good one! I mixed it with real flowers and mini white pumpkins to create this look. I added in a few rose gold votives to match the rose gold flatware and kept everything else a classic white. Just like white sheets and towels, you can never go wrong with good white plates. 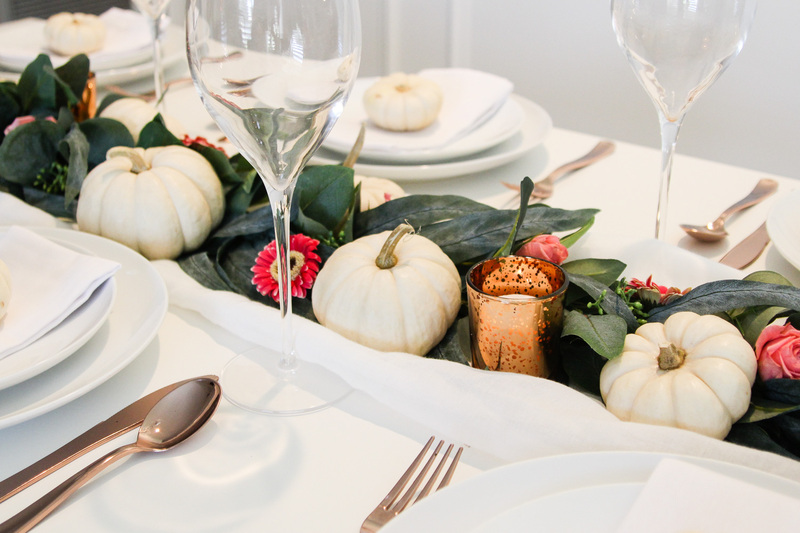 Putting something on each plate, like a mini pumpkin or greenery, adds a special touch to your holiday table. A mini pie or a leaf shaped cookie are fun ideas also. Display your pies on cake stands. You can put them on the table or on a pretty styled credenza nearby. 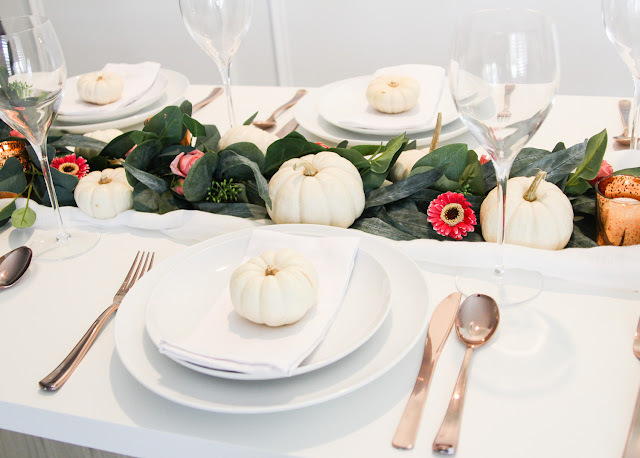 Include fall inspired natural elements like pumpkins, gourds, pinecones, leaves, and greenery for table decor. Don't forget a kid's table for the kids! You can include as many elements as you want or don't want. Plate chargers are a beautiful addition to any holiday table. Cloth napkins really elevate the look of your table fairly inexpensively. Table cloths and table runners are a nice way to bring in color and texture or change the look of your plain table. Alternatively, it's totally ok to skip the linens like I did here, if you like the look of your table. You can also include different types of drinking glasses instead of just one type. All of these little touches you can edit to make it your own. Set it up a couple days ahead of time so that you have time to adjust and it will already be set up on the day of. Happy Thanksgiving! See More Thanksgiving Tablescape Ideas on Pinterest.